Sakai Guides and DocumentationFaculty Guide Add Participants to a SiteHow do I use groups? Groups are subsets of participants for a given site. Groups can be created on an ad-hoc basis by instructors in course sites or by owners or administrators in collaboration sites. Groups are useful to organize study groups, project teams, and other non-official subsets of site participants. 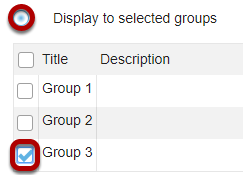 In course sites, each course roster section behaves like a group. i.e., group-aware tools recognize the section as a group. 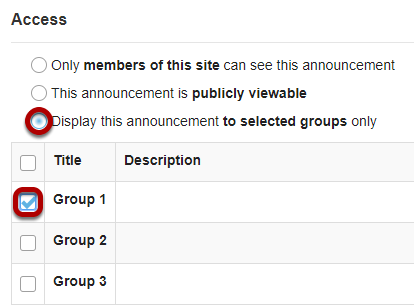 You can use groups to make site content available to specific site participants. For example, a private announcement can be made available to a group and email notification can be sent to members of that group. You can also use groups to create group assignments, or limit access to a test or quiz with settings for specific groups. 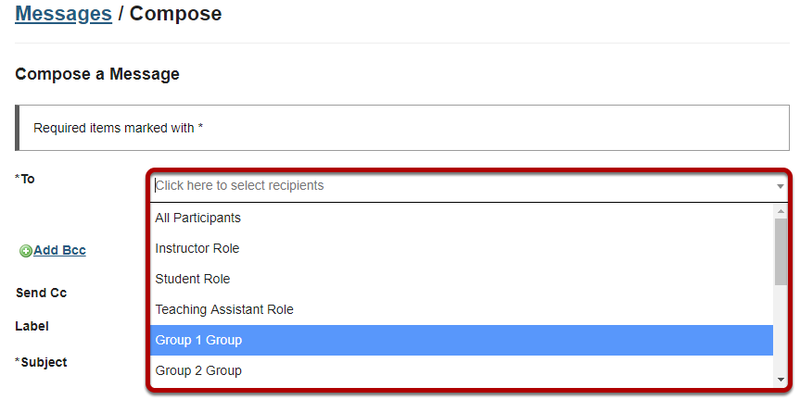 For information on creating and editing groups, see How do I create groups? Note: If an assignment or assessment has been released to specific groups, changing which groups have access to the assignment, or modifying/deleting a group after students have begun work, can result in the loss of submissions! You can use groups with the tools listed below. The descriptions of how groups can be used are linked to Help articles that show how to enable group access. Post announcements for specific group(s). Create group assignments, where one member of the group submits on behalf of the group (pictured above). 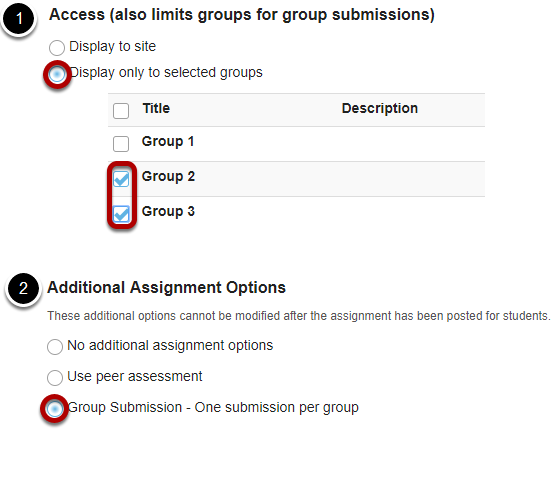 Restrict access to an assignment to specific groups. Note: If an assignment has been created as a group assignment or released to groups, changing the groups who can submit it, or modifying or deleting a group after students have begun work on the assignment can result in the loss of submissions! Automatically create multiple topics for groups. Send a private message to a specific group. 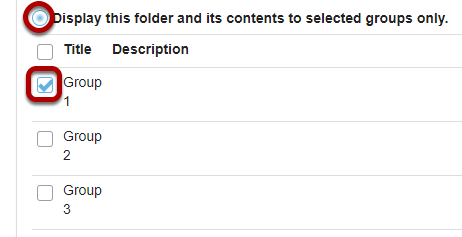 Limit access to file(s) and folders to specific group(s). Schedule events for specific groups only. Set up office hours or meetings which are visible only to specific group(s). Limit access to a test or quiz for specific group(s). Set time or date exceptions on a test or quiz for specific groups. Prev: How do I create groups? Next: How do I add a librarian or research guide to my course site?